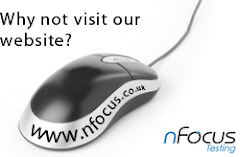 nFocus Blog: Infrastructure Testing – What’s That??? Infrastructure Testing – What’s That??? OS – What special consideration and configuration will need to be applied to the software stack specified to support the solution? How do you assure the build prior to releasing the solution code and any supporting artefacts? We all are indicating some of the problems with statefulness and cookie persistence using applogic. the key here is that we can create an infrastructure virtually to more accurately reflect the true production environment.